Tidewater Community College’s textbook-free degree in business, which was launched as a pilot program with the Fall 2013 semester, is a finalist for a national Bellwether Award, given annually by the Community College Futures Assembly. Among more than 400 applicants in three categories, TCC was selected as one of 10 finalists in the “instructional programs and services” category. All finalists will present their programs Jan. 27 at the Community College Futures Assembly in Orlando, Fla., and winners will be announced the next day at the group’s annual meeting. 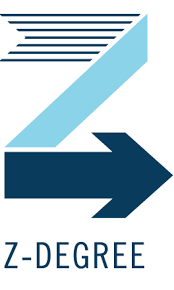 TCC launched its “Z Degree” – “z” for zero textbook cost – to ease the pain of soaring textbook costs for college students. It partnered with Lumen Learning, a Portland, Ore.-based company that helps educational institutions integrate open educational resources into their curricula. Students in the program use high-quality open textbooks and other open educational resources, known as OER, which are freely accessible, openly licensed materials helpful for teaching, learning, assessment and research. It is estimated that a TCC student who completes the degree through the textbook-free initiative might save one-third on the cost of college. “Students didn’t have to drop a class because they couldn’t afford the textbook,” said Daniel T. DeMarte, TCC vice president for academic affairs and chief academic officer. During the first semester of the pilot program, about 400 students took 16 different “Z” courses, which ran the gamut from English and math to electives to program requirements. “We estimate we saved those students $40,000 in textbook costs,” DeMarte said. Nineteen courses are planned for the spring semester. The Community College Futures Assembly, celebrating its 20th anniversary this year, convenes annually as an independent national policy forum for key opinion leaders to work as a “think tank” in identifying critical issues facing community colleges, and to recognize Bellwether Finalist colleges as trend-setting institutions. Three other Virginia community colleges will also present in Orlando. Southside Virginia Community College is a finalist in the instructional programs category for “Campus Within Walls: Serving Incarcerated Men and Veterans.” In the Workforce Solutions category, Virginia Western Community College’s “Community College Access Program: Successful Public Private Partnerships as Enhancing Education Access to the Future” and Patrick Henry Community College’s “HOPE: High-demand Occupational Programs for Employment” are finalists.